Preschool classrooms need to be so many things. Lecture halls. Theaters. Laboratories. Cafeterias. Playrooms. Sleeping quarters. Easily storable furniture is key to ensuring your classroom can encompass all these functions in a single space. But don’t fret! 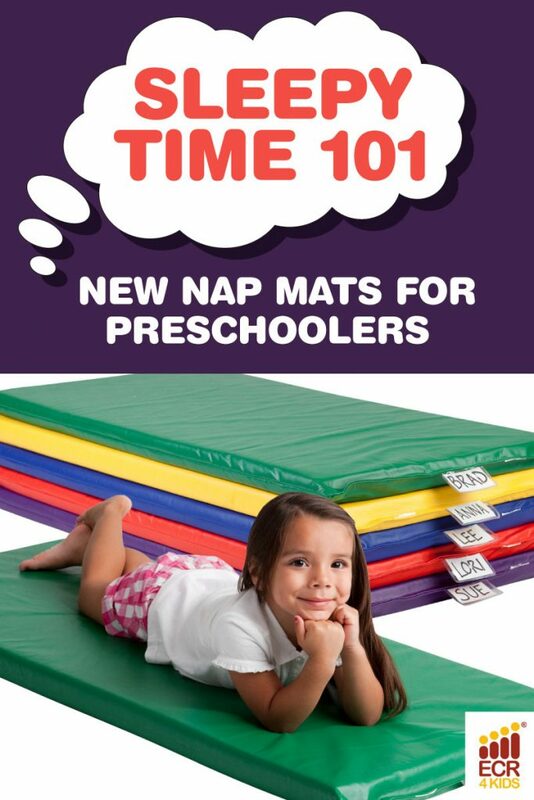 When it comes to nap time, ECR4Kids has you covered with our comfortable and quality nap mats. Some of these items are brand new to our 2017 catalog — keep an eye out! Equal parts comfortable and convenient, our line of folding rest mats are the perfect solution for a cluttered classroom. Available in three thicknesses, these mats are cozy and easy to clean. Their dense foam core is heat-sealed in a premium covering that resists tears and bacteria growth. They even have built-in plastic name tag holders so kids can lay claim to their own special mat! Little ones will dream of rainbows when they curl up on these mats! These premium rest mats are as vibrant as they are durable. With furniture-grade foam cores and heavyweight waterproof coverings, Rainbow Rest Mats are equipped to provide years of solid napping. Need more space? The Rest Mat Trolley makes storing and moving these mats a breeze. For when floor pads won’t cut it, our premium stackable cots make rest time a great time! Kids love lounging and relaxing on the comfortable and well-secured fabric — it’s like floating on a hammock. These colorful cots stack easily once rest time is over, making them ideal for classrooms with limited space. Not all naps are destined for the classroom floor. When sleepiness surges out of the blue, our trusty nap companion is there to help. This all-in-one sleep kit combines sheets, blanket and pillow into a compact and carryable package. Between the quilted lining, fleece blanket and comfy pillow, toppling toddlers can take a power snooze almost anywhere. Nap Companions are compatible with ECR4Kids Rest Mats and Cots — they’re perfectly fitted! Feeling sleepy? We know we are — a Nap Companion sounds pretty nice right about now. Keep your eye out for our 2017 catalog for some more amazing upcoming products. Want to stay in touch? Leave a comment below or chime in on our Facebook page!